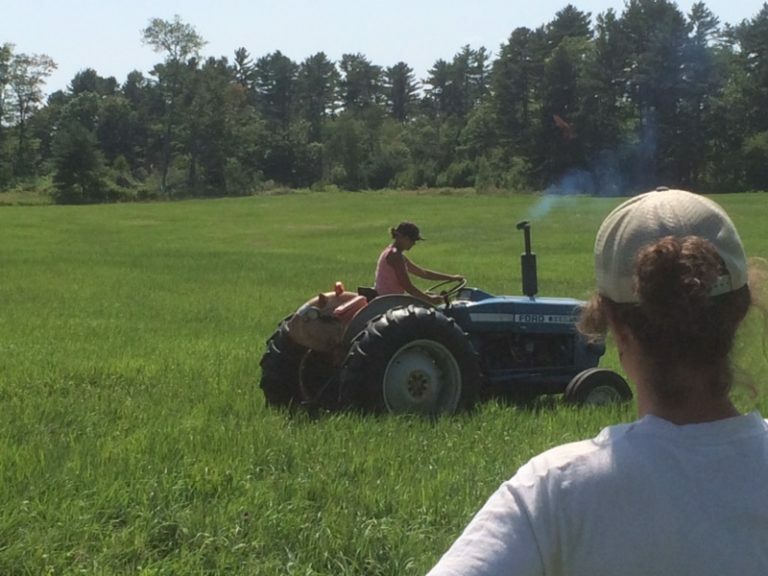 At Wolfe’s Neck Center, we are training the next generation of farmers. As the farmer population in Maine ages, we are addressing the critical need for new, young farmers to take over growing food for our state. Our training programs prepare aspiring farmers to cultivate the land through sustainable practices that produce nutritious food for keeping communities healthy, now and in the future. Wolfe’s Neck Center’s Fruit & Vegetable Farmer Training Program is unique internship program covers all aspects of organic fruit & vegetable crop production with a focus on regenerative agriculture techniques. Our fruit and vegetable production includes four acres of diverse production, year-round high-tunnel greenhouses, small orchards, perennials, educational raised beds, and a community garden, all of which the interns oversee during their time here. 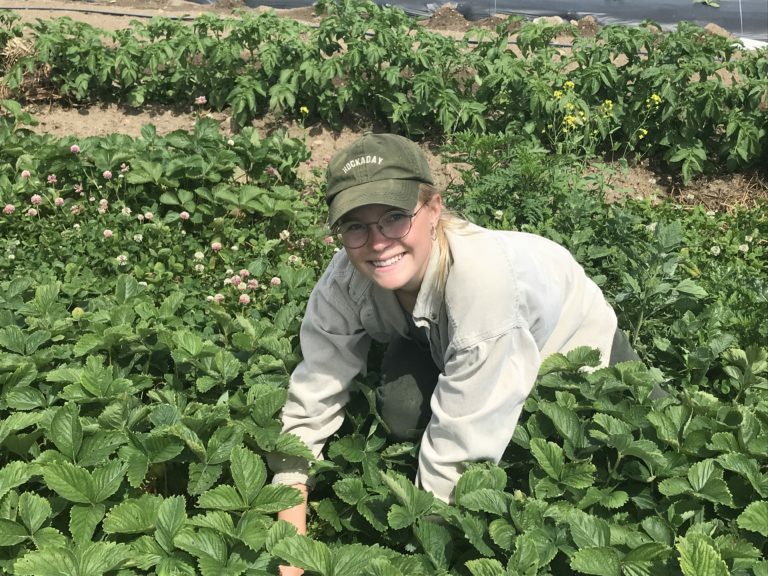 Crop rotation, integrated pest management, cover cropping, soil science, irrigation, and general problem solving are among the many lessons taught in the fields and in the classroom. 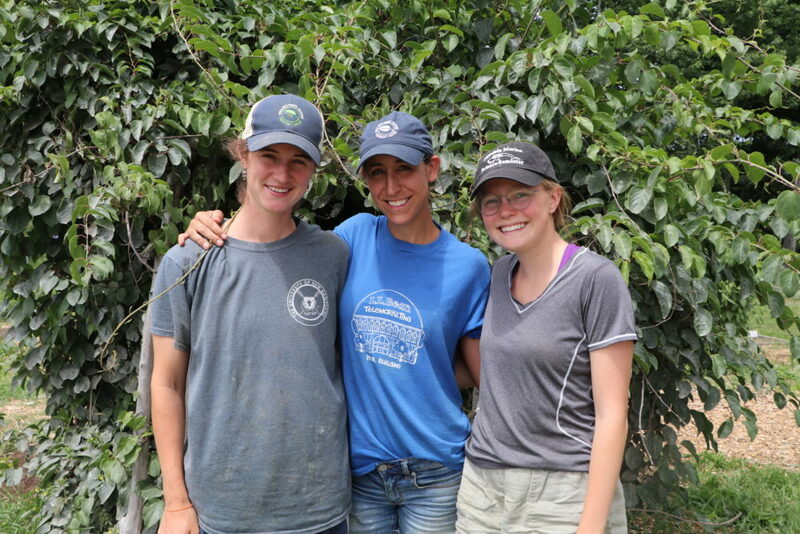 Fruit & Vegetable Interns simultaneously hone their skills as agricultural educators as they plan workshops and interact with adults and children of all ages who visit the farm on a daily basis. They are also involved in Wolfe’s Neck Center’s charitable giving initiatives, which include both hands-on volunteer work and the donation of at least 6,000 pounds of produce each year to local food pantries. Additionally, they spend time in our commercial kitchen converting the team’s farm-grown fruits and vegetables into an array of value-added shelf-stable products such as jams, sauces, salsas, and pickles. A well-rounded, diversified education is ensured with visits to other local farms and inclusion in meetings with local restaurant partners. When not in the fields running the tractors, harvesting fresh produce, and connecting with the community, Fruit & Vegetable Interns learn to run a small business enterprise and master the economics of small-scale organic crop production as they conceive their own plans for the future. As a whole, this dynamic program is providing invaluable instruction, experience, and resources to a new generation of farmers. 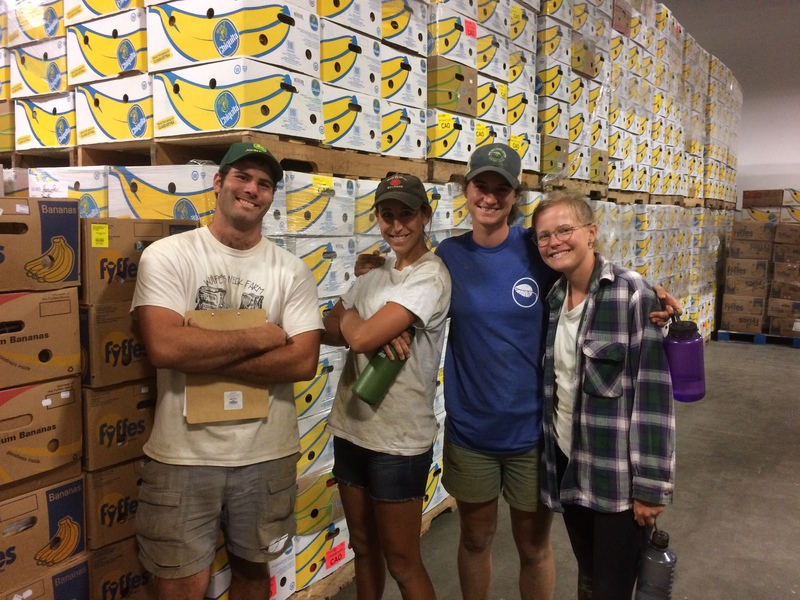 Our 2019 Fruit & Vegetable internships have been filled. To learn more about our Fruit & Vegetable Farmer Training Program, please email Tom Prohl.